The Newest Rant: Everyone's Pissed at Howard Chaykin and Image for, "Divided States of America," But Should They Be? 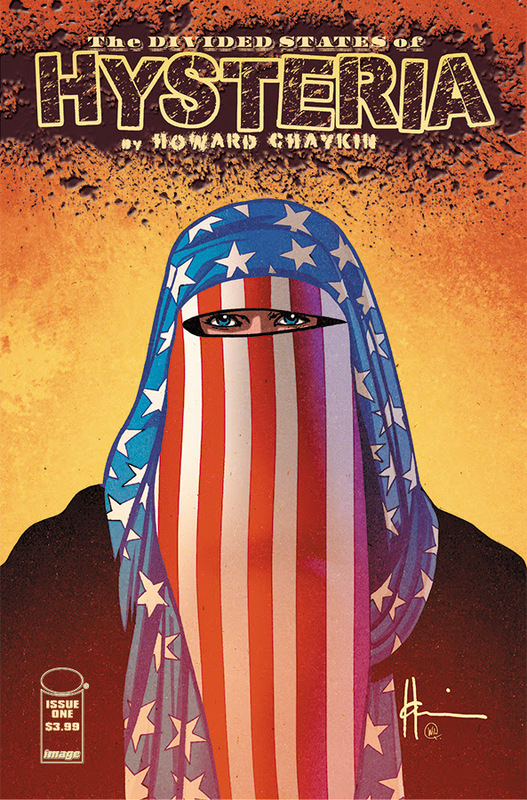 Everyone's Pissed at Howard Chaykin and Image for, "Divided States of America," But Should They Be? Howard Chaykin recently had the first issue of his, "Divided States of Hysteria," released from Image Comics. I quite liked it but it seems to have pissed many people off, with it being declared transphobic, racist, or otherwise horrific. As I have shown many times on my blog and in everyday life I am someone who is extremely politically conscious, against hate, and otherwise a fighter for respect and rights. so when it comes to people mad at this comic...I just don't get it. There is a scene in this comic with transphobic characters, yes, but does that make the comic transphobic? There are also scenes with racism, hatred, and all of that, but I am 99% sure Chaykin is not having this reflect his own views, it is for his story. He says in the essay in the back of the book itself, this is a twisted view of an America torn apart by hateful people doing terrible things. It is a fun-house mirror reflection of what our nation is becoming and meant to be taken as hyperbolic and absurd. Now, I am a cisgender, heterosexual, white man, so as much as I strive to be cognizant of the challenges and hatred faced by people who are minority individuals, gay, trans, or anything besides the so-called, "Majority," I can't truly understand what it is like to be someone who is within that demographic. Perhaps if I were transgender I would have immensely different feelings about this comic. That said, this whole book is full of bombastic excess and shocking imagery, because that is the point. This isn't Chaykin pulling a Frank Miller and giving us an earnest-yet-terrible, "Holy Terror," he is fully aware how terrible and cliché many of the people in this book are because, as I said, this is an exaggerated, "What-if," as opposed to reality. The craziest thing about all this is that it will probably increase interest in the book and make any copies still on shelves relatively scarce as many folk are going to want to pick this up and, "See what all the fuss is about," so thanks to this controversy Image will potentially have yet another hit on their hands. Funny how that works, ain't it?